Blogging is a vital business tool. For many businesses, blogging has provided awesome profit potential. But blogging for value — i.e., blogging for people — seems to have taken a back seat as a priority in favor of blogging for search. Blogging for increased search ranking is certainly not altogether bad. However, a lot of bloggers seem play to the search engines alone while leaving readers by the wayside. If you’re one of those bloggers, be advised that you are wasting a potentially lucrative opportunity. To ensure that your blogging efforts are in line with what the search engines require and what the readers want, the following are recommended best practices for the blogger of 2013 and beyond. Don’t be afraid to ask people, either through your blog or through your social media pages. Visit forums and Q&A sites such as Quora and LinkedIn Answers to find out what people are asking about certain topics. Take advantage of Twitter and Facebook’s search platform to find out what people are asking to get their problems solved. You can also check out other people’s blogs that address areas related to yours in order to find out what topics are most shared and most commented on. Follow news sites and filter stories that relate to your subjects of interest. Strive to be one of the first to break a story to your followers. Keywords still play a huge role in creating a blog post that scores a hit with readers. The more people that are searching for a certain set of keywords, the better that can be for you. Use Google’s AdWords Keyword tool to find the keywords you might like to blog about. However, remember to vary the use of your keywords to Penguin-proof your content. Don’t sweat it if you can’t find the right keywords for your topic. If you feel that the topic you intend to blog about is interesting and unique enough, then surely there will be other people who will be interested in it too, and you should write it anyway. When composing your article, write as though you are an authority on the topic, but with a friendly and conversational tone. The minute you start to sound like you’re selling something, people will click away from your blog in a heartbeat. Readers these days have very short attention spans. Most skip right through to whatever they think is the most important parts of the post. Be sure to keep your paragraphs and sentences short. Also remember to include headings at the start of each section of your piece. If you want to make it even easier to read, state the most important points at the start of each sentence and paragraph. It’s also helpful to use bullet points to cut important points into smaller sections, and to bold or highlight important ideas and words and include images to help punctuate important ideas. Now that you’ve optimized your post for readers, it’s time to optimize for search. Start by using your main keywords in the title. The main keywords should also be sprinkled throughout your content, specifically in the first paragraph, a middle paragraph and the last paragraph. However, be careful not to over-optimize by using exact-match keywords over and over again. As previously stated, select variations of your keywords. Also, be sure to link other topics within your blog posts. This helps the search engines determine how your posts are related to each other, and ultimately helps you rank higher in search. Take advantage of social media’s sharing options. Share your post on Twitter, Facebook, and other sites. If your posts are sufficiently useful and thought-provoking, people will share and re-share them, even without your asking them. To make it easier for your visitors to share your posts, place social media buttons in each of your blog commentaries. Only by tracking how your blog and each of your posts perform will you know if your efforts have succeeded. Follow your site’s analytics, so you will learn which posts or topics grab your readers’ attention and get shared. You will also see which keywords bring the most traffic into your blog. 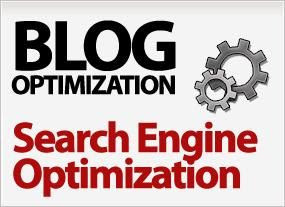 This should give you an array of quick and simple tips to optimize your blog for search and for your readers. If you want more information on blogging and search optimizing your blog, contact us today.